CJ Culture Foundation Releases 7 Winners of the 7th "Project S."
- Seven works (dramatic films and documentary) were finally selected at the 7th contest held in 2016 by "Project S," a support program for new storytellers. - The jury, including Director Kim Dae-woo and Lee Seok-hun, screened the 462 entries received between April 29 and May 30. - Various support programs are provided for winners: support funds for creativity, professional mentoring, monitoring, pitching training and a pitch event, plus support to enter the market. [CJ Culture Foundation=2016/7/7] CJ Culture Foundation (Chairman Lee Jae-hyun) said on July 7 that a total of seven works (six dramatic films and one documentary) were finally selected at the 7th contest held in 2016 by "Project S,"
a support program for new storytellers. Out of the 462 entries (433 dramatic films and 29 documentaries) received between April 29 and May 30 through CJ Azit homepage (http://www.cjazit.org), seven were selected as winners after getting through the preliminaries and finals, and the interview screening. 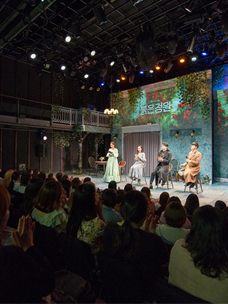 The jury for this 7th "Project S" included Film Director Kim Dae-woo well-known for "Scandal," "The Servant," and "Obsessed" who has been a member of the jury since the 2nd Project S; Film Director Lee Seok-hun who made "The Himalayas" and "Dancing Queen"; Distinguished Professor Gil Jong-cheol of the Department of Theater and Film at Hanyang University; Producer Han Kyoung-su who made the documentary "My Love, Don't Cross That River"; and Professor Lee Chang-jae of the Department of Media Arts at Chung-Ang University. Experts from each field proceeded with their judgment based on the creativity and potential of each work. Director Lee Seok-hun, who screened entries for the dramatic film category, said, "I found it very difficult to select among the many entries due to the strong individuality and high level," adding, "I was glad to meet the many storytellers who poured their heart and soul into creating their works, despite the challenging conditions surrounding them. I expect all the new storytellers to devote themselves to creating remarkable stories that will bring vitality to Korean movies." Producer Han Kyoung-su, who screened entries for the documentary category, expressed his feelings saying, "I could experience the various viewpoints of documentarists that induce viewers to face the many scenes of anxiety in this age of unease and uncertainty, and to reflect on themselves. He also added, "In particular, the selected work has the storyteller's clear intention to take a deep look at the historical and social contexts of a subject instead of just dealing with it superficially. I hope the story will be born as a great documentary which "speaks" and "screens" cinematically." Unlike other ordinary scenario contests which finish with the delivery of a cash prize, "Project S" provides winners with practical and systematic support programs until the selected first draft turns into a full scenario. This creates a high level of satisfaction among the participants, particularly as various opportunities to enhance their capability as storytellers and their work's value are also given to the winners of the 7th "Project S". This is given in the form of a creativity support fund of a maximum 15 million won per team, professional mentoring, monitoring and lectures. 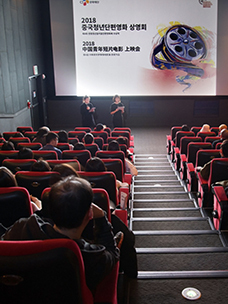 In January, 2017, pitching training is provided for creators on the basis of the finished scenario draft, and a pitch event is held targeting the country's major investors and distributors. All rights including copyright of the winner of Project S are reserved by the creator, with the potential for a pilot to be produced with the partner the creator wants. General Manager Lee Sang-jun of CJ Culture Foundation said, "Good culture content starts with good stories regardless of genre. We will continue to find and nurture excellent storytellers through "Project S", and lay the groundwork for a variety of new content to be constantly created, contributing to a healthier culture ecosystem." 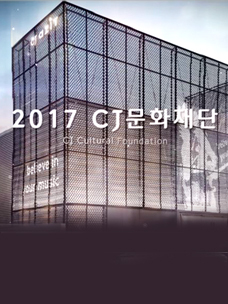 Meanwhile, CJ Culture Foundation, founded by CJ Group chairman Lee Jae-hyun in 2006 on the basis of his belief that corporations should help young people fulfill their dreams, has been committed to providing various support programs for new creators. 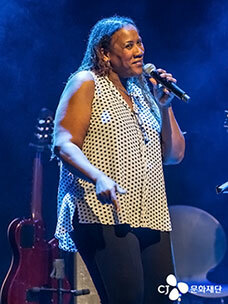 Its major programs include "Tune Up" supporting new musicians, and "Creative Minds" supporting new performance creators as well as "Project S". "Project S" has supported a total of 87 creators starting from 2010 until 2015, and the release of seven films including "My PS Partner" "My Little Hero" and the documentary "Norazo". "Thaw" directed by Lee Su-yeon, a member of the 3rd Project S, and "A Stray Goat" by Jo Jae-min from the 4th Project S are also expected to be released in the second half of the year.